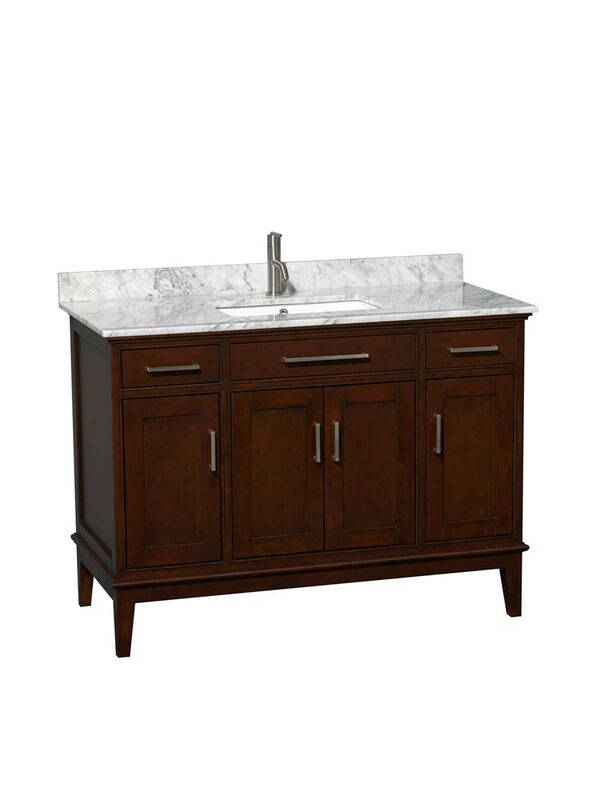 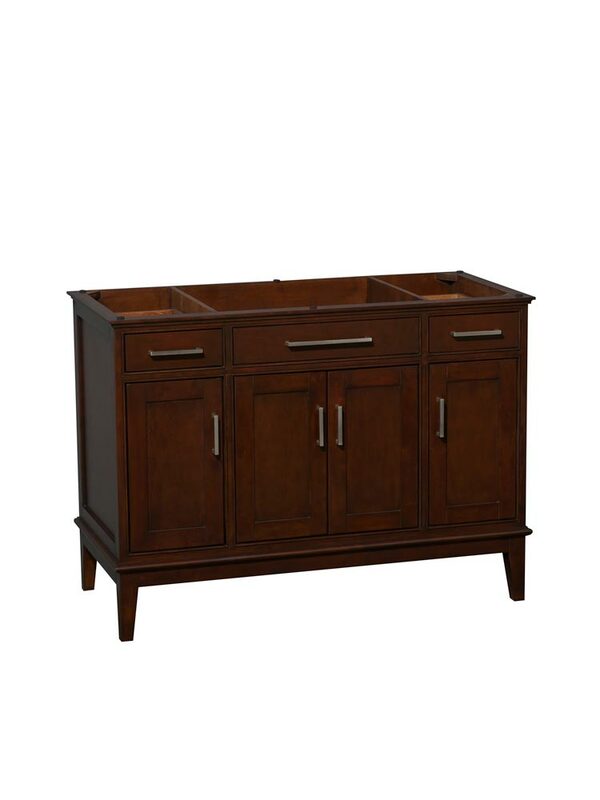 Bring a touch of texture and depth to your bathroom with the 48" Hatton Single Bath Vanity in Dark Chestnut. 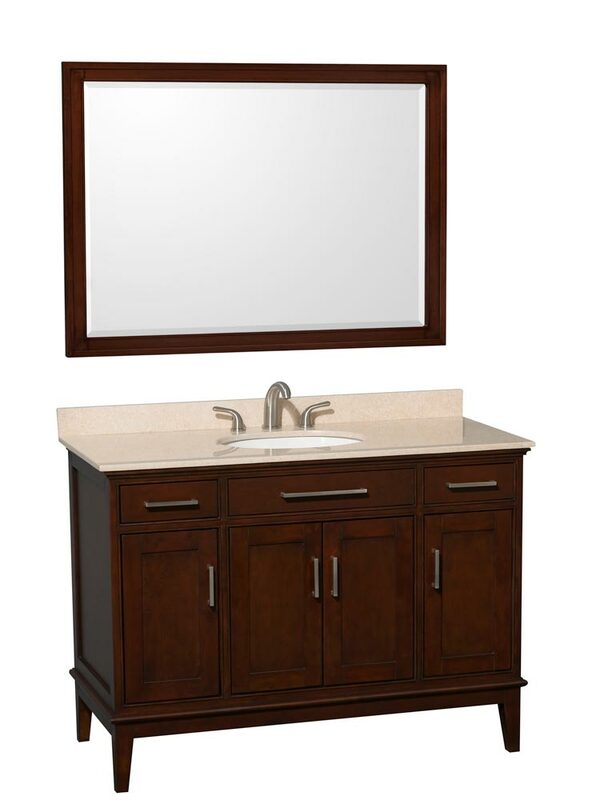 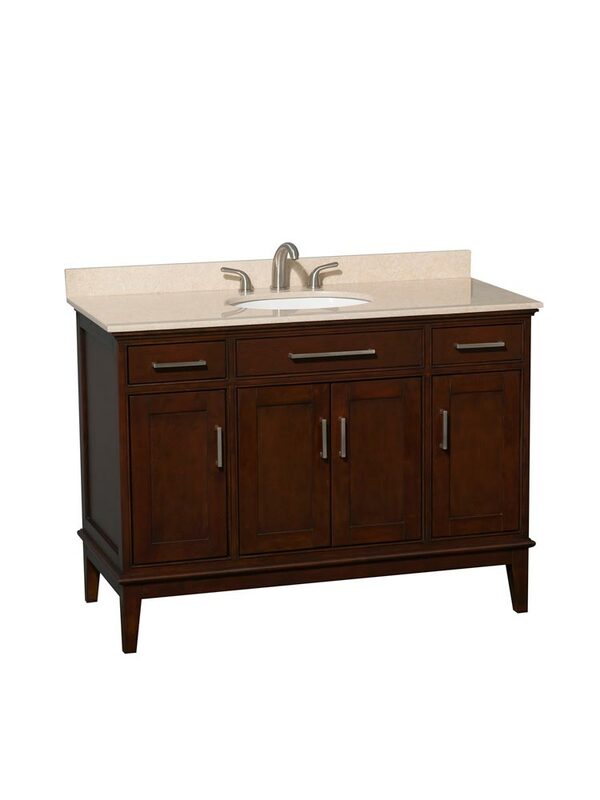 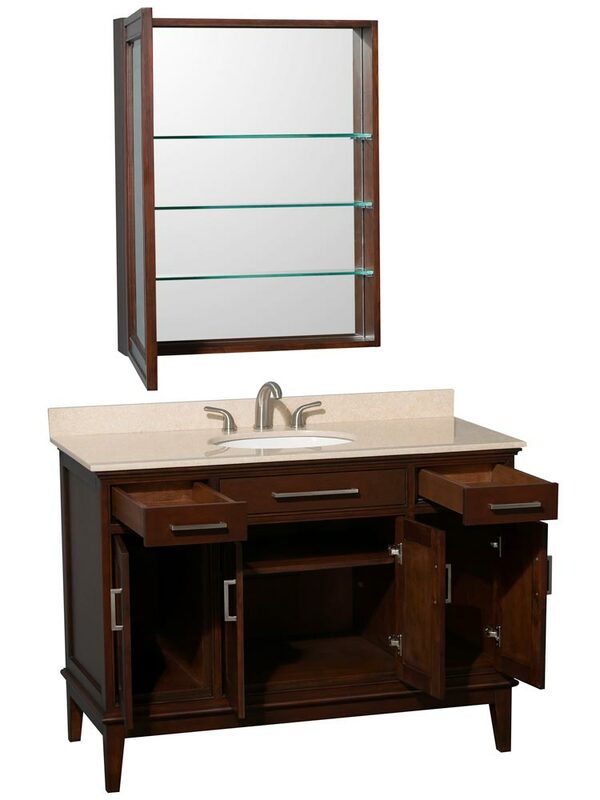 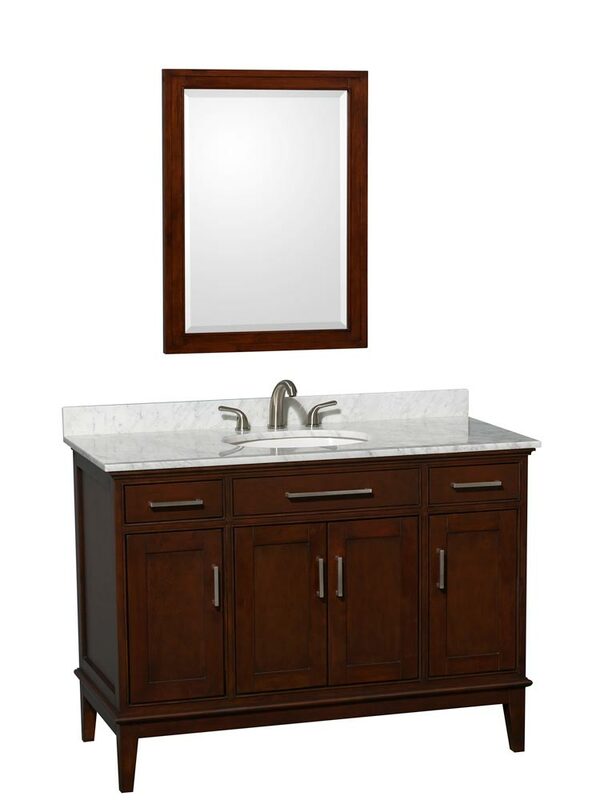 With a hand-finished shade of Dark Chestnut, this warm and homey vanity offers a touch of elegance to a modern bathroom. 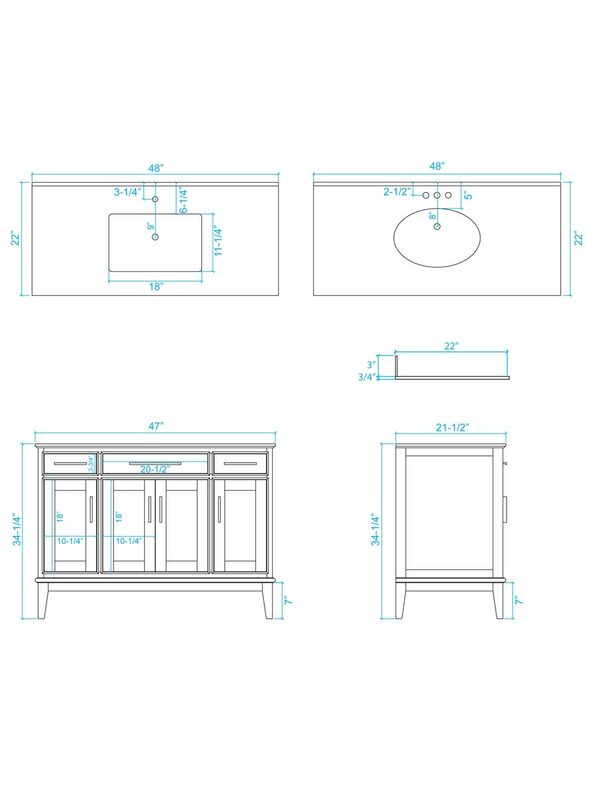 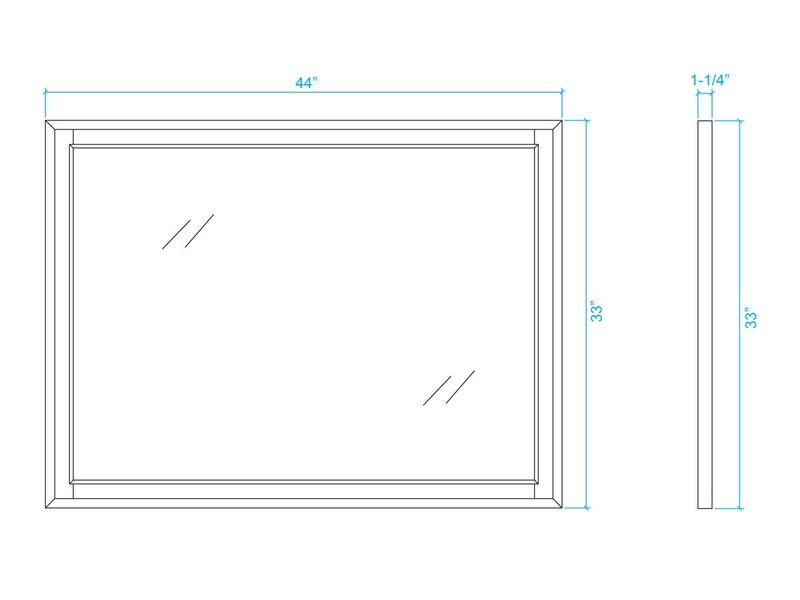 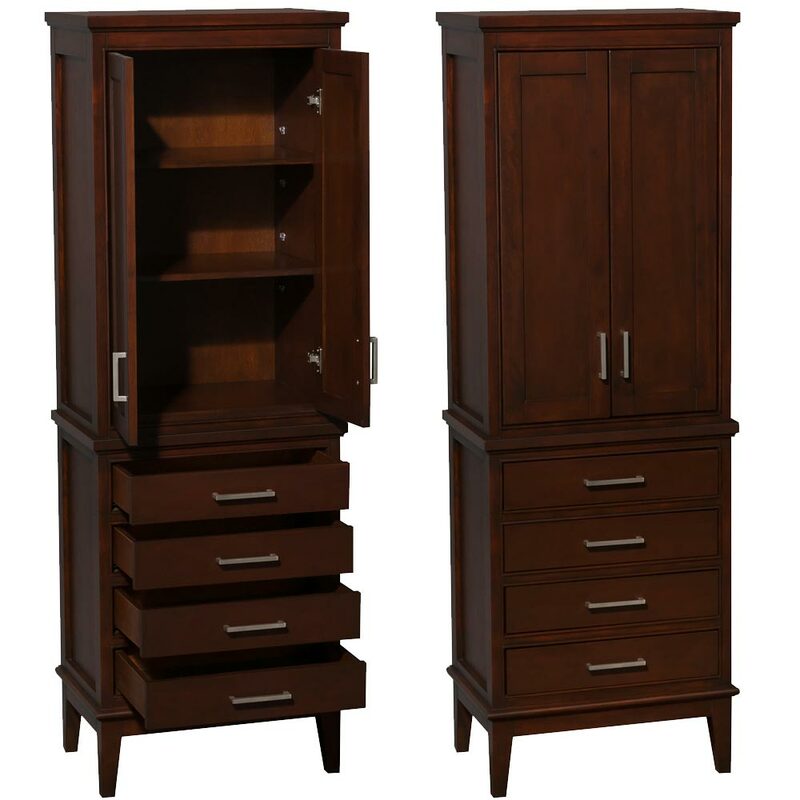 It features Brushed Chrome hardware, but Antique Bronze accents are also available. 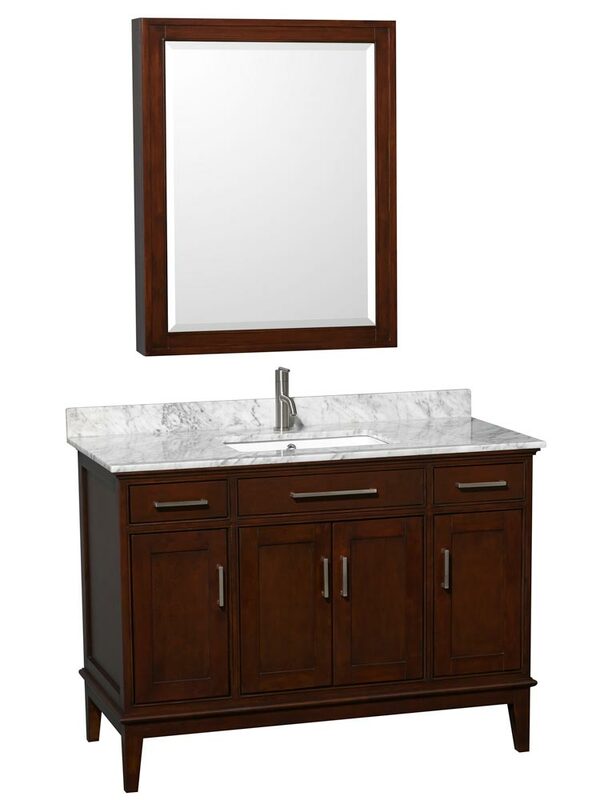 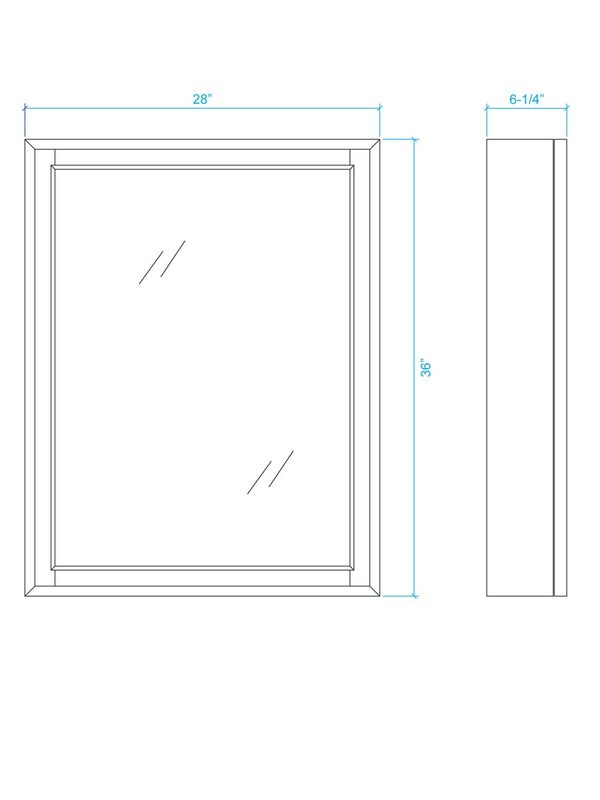 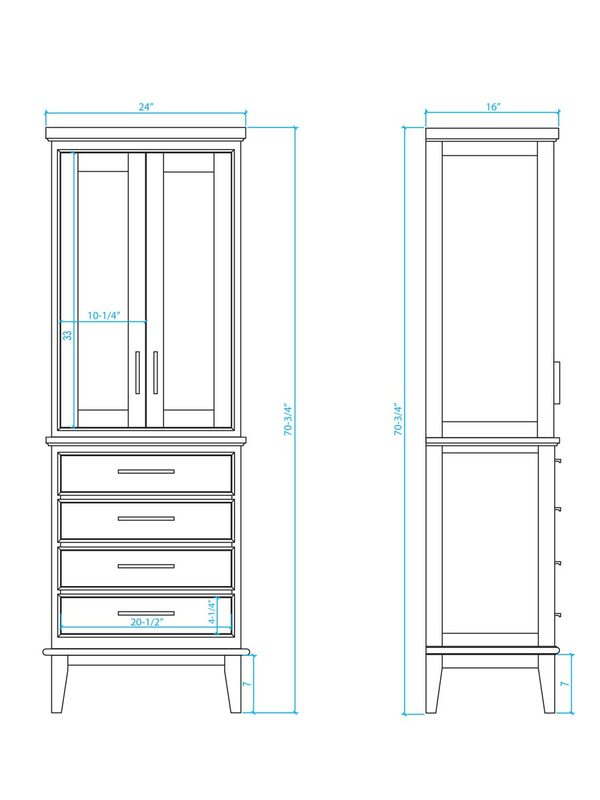 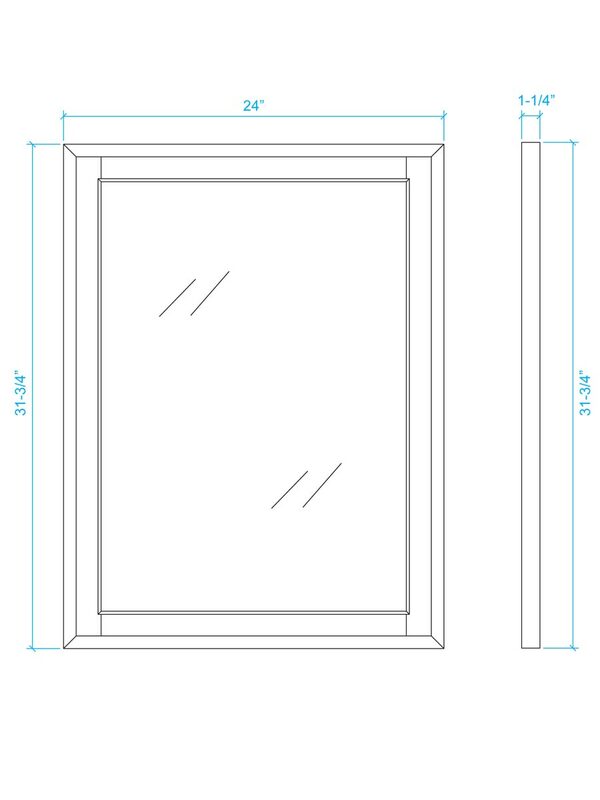 Match your new vanity with a matching mirror, medicine cabinet or linen cabinet to fully immerse your bathroom in a classic, contemporary style.